Ensure there are no collisions, this can be checked with ifconfig or ethtool. Collisions are caused by other devices on the network sending traffic at the same time as the server you are diagnosing. Collisions are normal at a low rate, however higher rates of collisions are typicaly caused by faulty NIC cards or poorly terminated cables. If your machine requires a high volume of connections, ensure there are enough ports availible for this traffic. For example and apache box, can produce a number of connections to tomcat, aswell as connections to an nfs per any one web request. Each of these connections will require an availible port. The default in linux is to allow the kernel to allocate ram dynamically to networking. The default setup is fine so tcp_mem can be left alone, however you can configure the default memory allocation aswell as increasing the maximum allowed memory usage for networking. The default value should never exceed the maximum value. 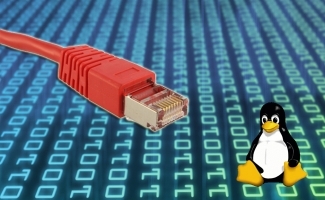 The linux kernel does set the defaults up based on the installed memory, however these calculations are not based on your network traffic. TCP Timestamps are useful however from a security perspective it's recommended to switch this off of external facing servers. set this to 1 for internal servers, and 0 for external facing servers. add the following config to sysctl to enable more TIME_WAIT sockets to be open and for clients to reconnect using the same socket. The default algorithm in linux to prevent tcp congestion used to be RENO, this is also used in a number of other unix based systems. Most newer distros using kernel version 2.6.19 are migrating over to CUBIC. and once again configuring this in sysctl. In most cases CUBIC will work fine, however if you are expeciencing alot of congestion, it can be worth while benchmarking others.